Do you realize that in this kind of situation, your mind is an obstacle to optimum performance and safety? 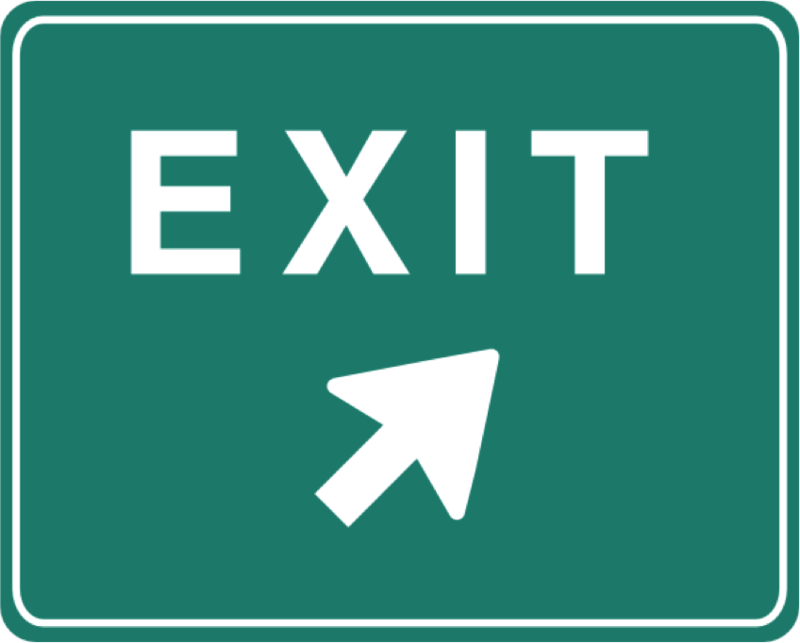 We sometimes get so distracted by our thoughts that we miss our cue to exit even when the exit signs and lane markers are in place. The external-world distractions cannot be blamed for that kind of mistake; rather, it’s the internal-world that is the primary cause of this safety problem. Our minds get led away from paying attention to what is happening here-and-now and put us at-risk for neglecting important signals for action. Driving by your exit is just one example of how your internal-world can interfere with your situational awareness, and lapses in awareness can put you in worse jeopardy than just accidentally missing your exit ramp. This lack of paying attention to what is happening right here-and-now is a potential hazard. Clearly, all the other elements for safety need to be in place, such as having the right tools, proper industrial hygiene, committed leadership, and many other critical components to the entire safety package. And it is undeniable that situational awareness is an important piece of the pie. I hope you already see merit in paying more attention to the here-and-now. You see, the only time you can act safely is right now. “Now” is the only time you are engaged in action. “Now” is the only time you can behave safely. You can’t be safe tomorrow and you can’t be safe yesterday. The moment of “Now” is the only time your body is in action. In recent years, safety professionals have seen how important it is to reduce distractions, and have shown interest in “situational awareness” as an important characteristic of behavior on the job. Situational awareness has been defined a number of different ways but for the purposes of our discussion, situational awareness is the perception of external-world and internal-world elements that can influence your behavior. Even more simply, situational awareness is knowing what is happening in your environment so that you know how to act appropriately. Practicing the skill of being in the here-and-now has been shown to have remarkable effects on health and well-being. The more often you are focused on what you are doing, the more likely your actions will lead to optimal performance. This article will discuss a one particular exercise of many that will help you become more present-focused. Improving your contact with the present moment helps you detect external-world hazards. Increasing your mindfulness also helps you become present with your internal-world obstacles while continuing to behave in a value-directed manner. Learning to be in the here-and-now is fairly simple, but it is not easy. One of the most popular ways you can learn to stay in the here-and-now is to simply learn to pay attention to your breathing. This training method has been helping people become more present-focused for centuries. In the 21st century, millions of people continue to practice paying attention to their breathing as a way of increasing performance and well-being. Here is a simple invitation. For your next ten breaths, just notice the experience of each inhale and exhale. As you inhale, notice the sensation and simply observe the feeling of breathing in. As you exhale, observe what that feels like. If a thought arises, or you start judging whether you are doing it the right way, just let those thoughts drift away as you refocus on the sensation of your breath. If you get an urge to move other parts of your body, or you feel a twinge in your neck, or an itch on your knee… simply notice them. You can’t stop your thoughts but you also don’t have to follow through on them if they take you away from your commitment to paying attention to your breath. If your mind wanders, then when you catch yourself doing that, guide your attention back to what you are doing: paying attention to your breath. Now that you have read through the instructions, please give this a try. Because you are constantly breathing, focusing on your breath is a simple introductory exercise for strengthening your situational awareness. Your body is either inhaling or exhaling at all times. The exercise just asks you to notice it. Learning to be more aware of your breathing creates a tether line between your experiences and the current moment. You are always breathing right now! If you practice this exercise daily, you will not only become more in-tune with your breathing, but you will be more fluent at contacting what is going on in the present moment. Remember, the purpose of this exercise is to strengthen your ability to focus, refocus, and refocus again. The more you do the exercise, the stronger your ability to stay attentive to what you are doing. Like all exercises, you can’t just do them every once in a while… it needs to be a regular practice. Go to the Free Tools link on the Building Safety Commitment website for some audio guidance with mindfulness exercises. If you take about 5 minutes a day simply training yourself to focus, it will have a significant impact on your attention span, and contribute to your safety actions. And heck, you might not drive past your exit sign on the highways any more either. D.J. 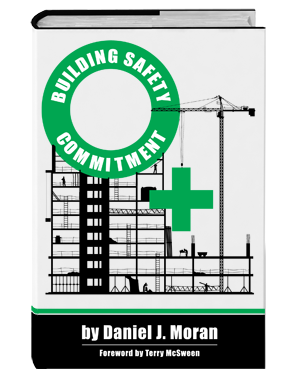 Moran is the Senior Vice-President of Quality Safety Edge and specializes in helping people improve their safety commitments. 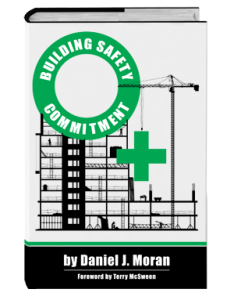 He wrote Building Safety Commitment, and has trained people in behavior-based safety on six continents. He has appeared in over twenty television shows talking about behavioral science on TLC & Discovery Channel.